See the slide show or click on the images below for step-by-step instructions. 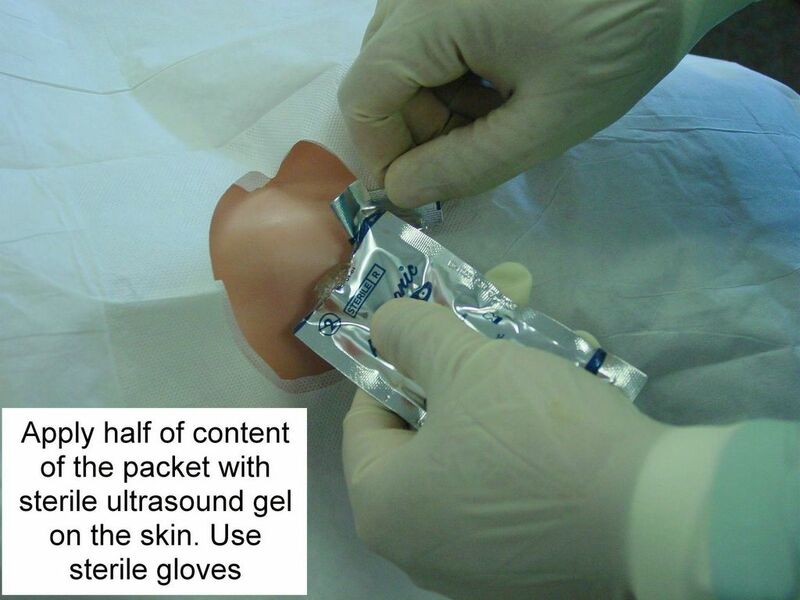 A free PDA version of this procedure guide is available from MeisterMed, iSilo reader for PDA is required to view the images. 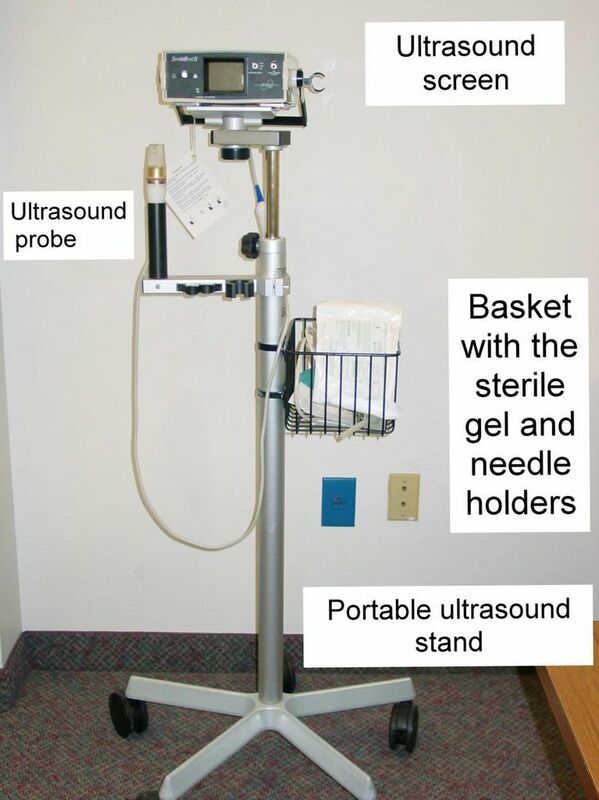 In this article, we will look only at the steps that are different from the regular central line placement described on this website. Fig. 1, 2. 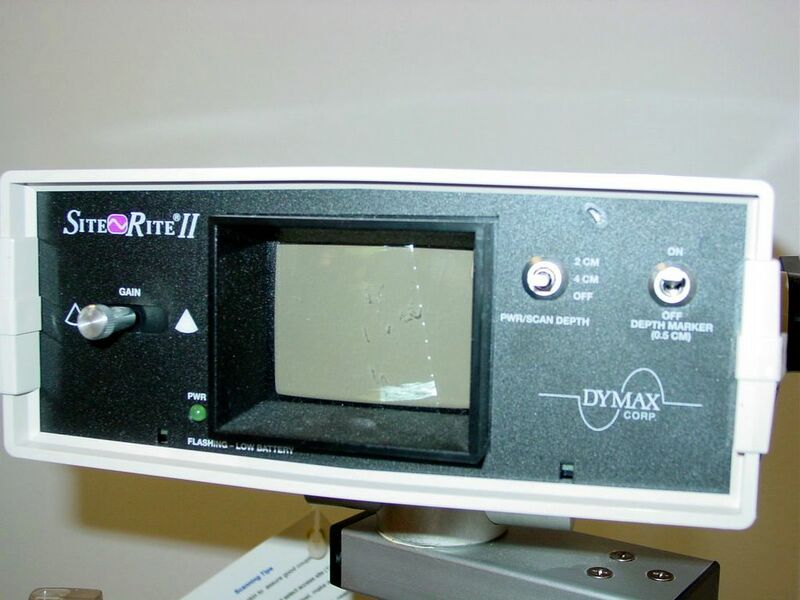 Ultrasound machine (SiteRite II). Fig. 3, 4, 5. 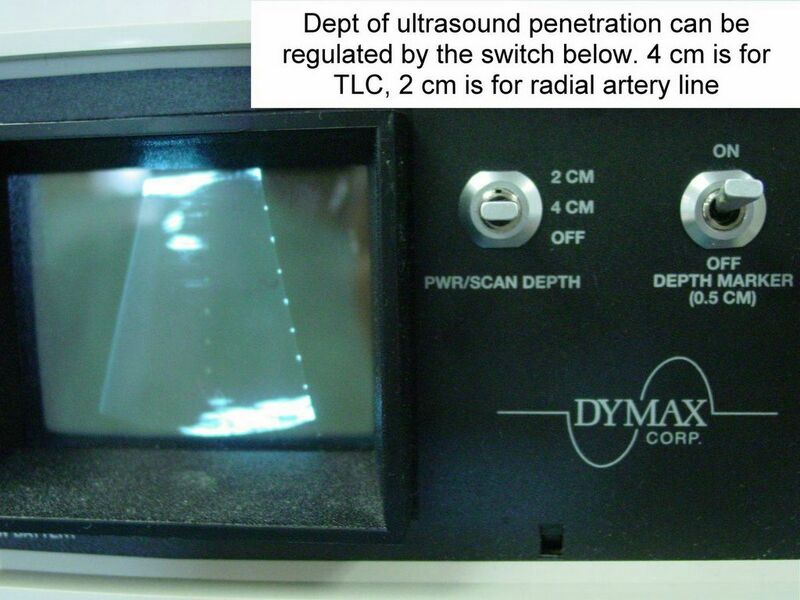 Ultrasound screen and dept adjustment switch. Fig. 6, 7. 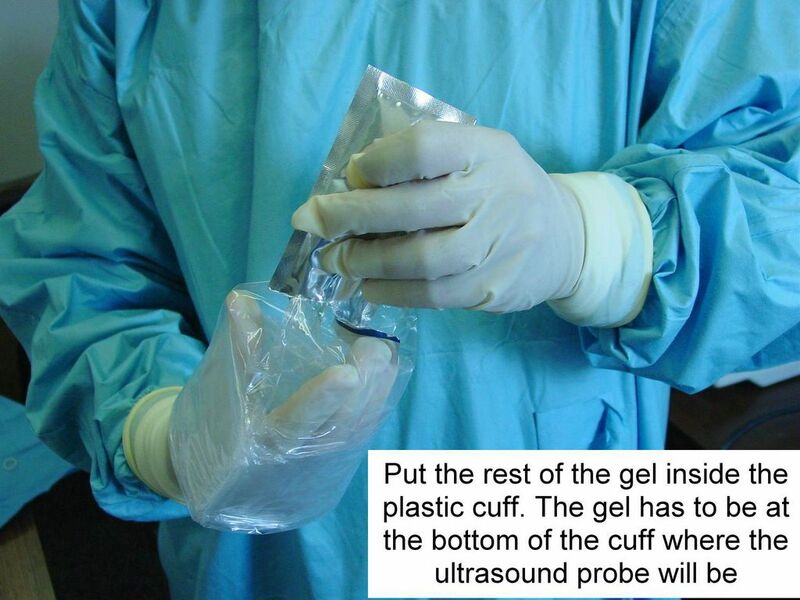 Sterile ultrasound gel. Fig. 8, 9, 10, 11. 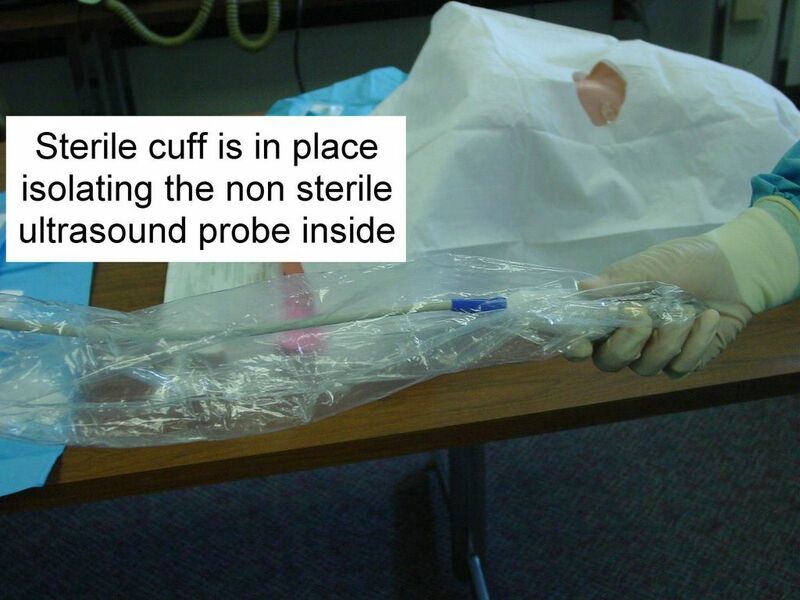 Put the sterile plastic cuff around the non sterile ultrasound probe. Fig. 12, 13. 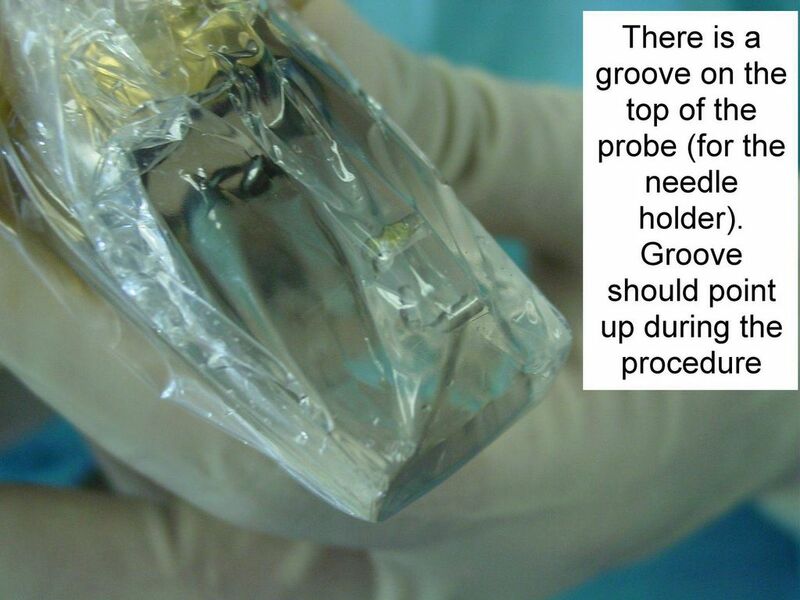 Inspect the head of the ultrasound probe, position the groove to point upwards. Fig. 14, 15, 16. 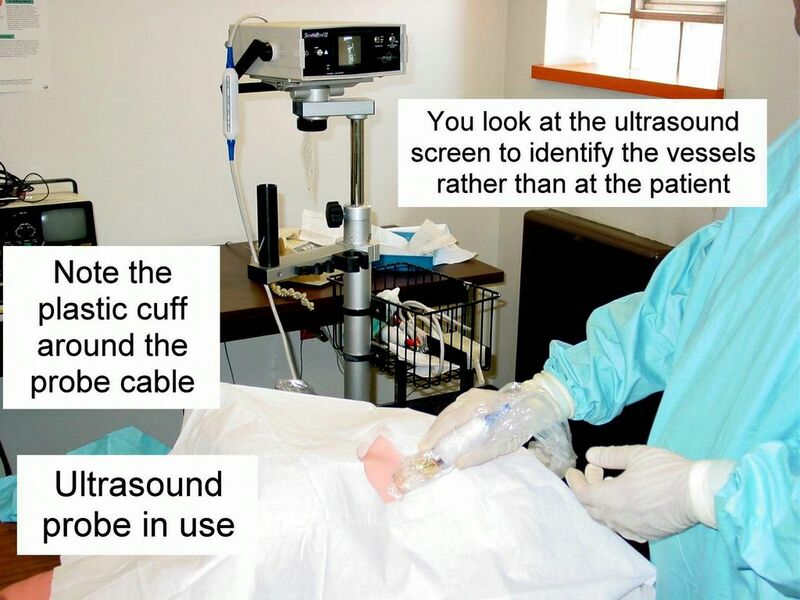 Monitor the ultrasound screen during the procedure. 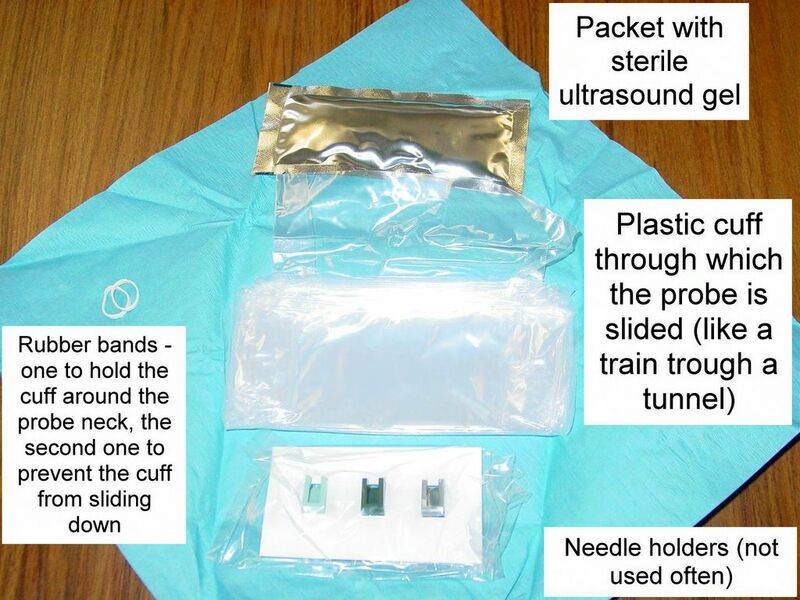 Do not forget to put the needles in the sharp objects collector box. 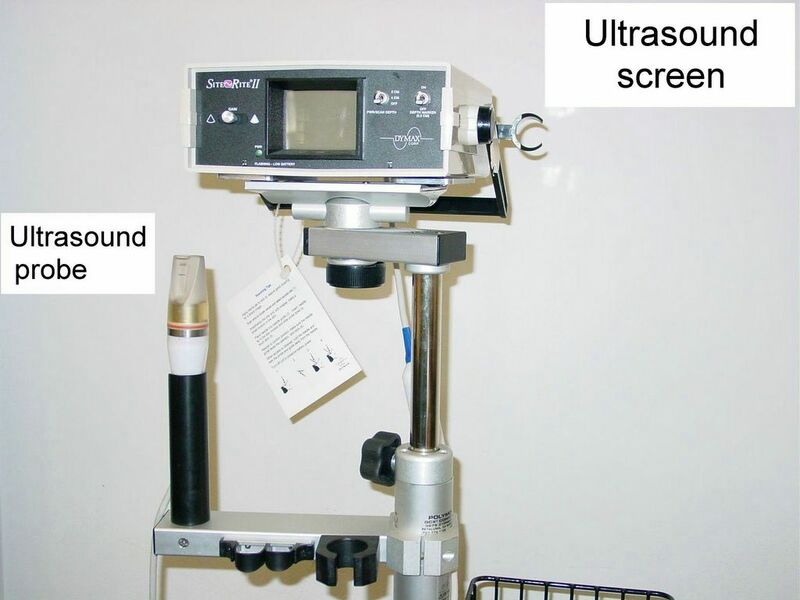 Order a CXR to rule out a pneumothorax and write a procedure note. 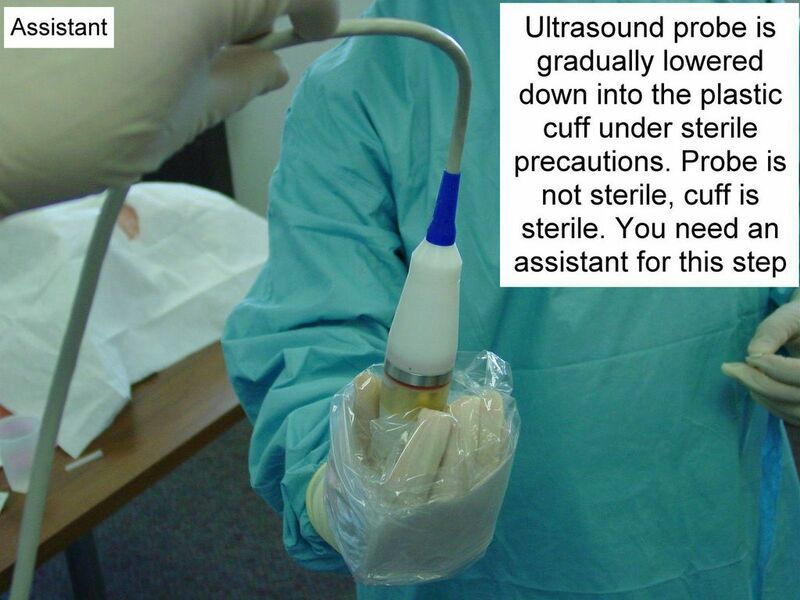 Central Line Placement (with and without ultrasound guidance). 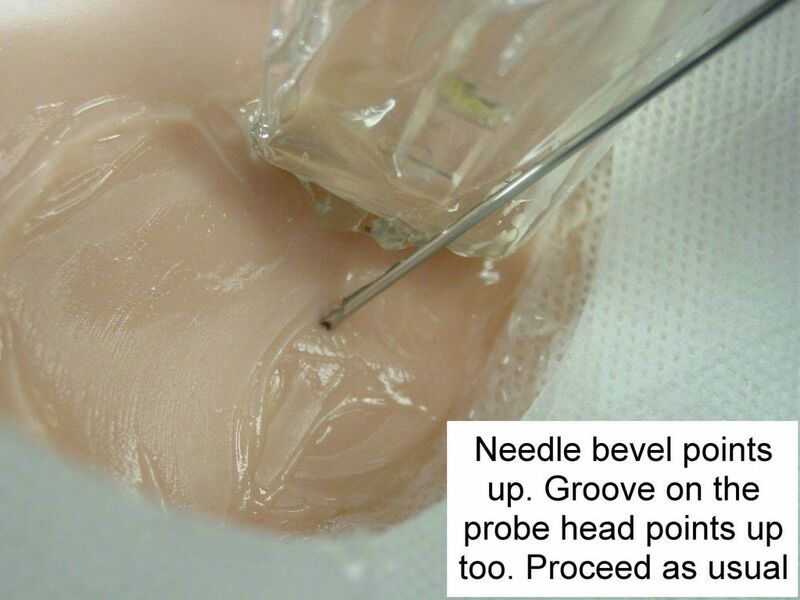 A Chapter in MeisterMed's Procedure Series for PDA. V. Dimov, B. Altaqi, 2/20/2007. 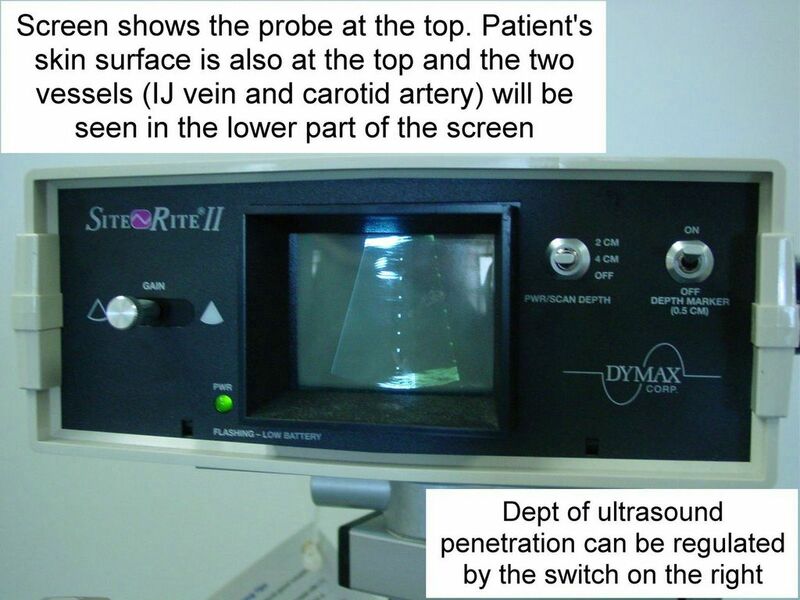 Ultrasound Guidance of Central Vein Catheterization. 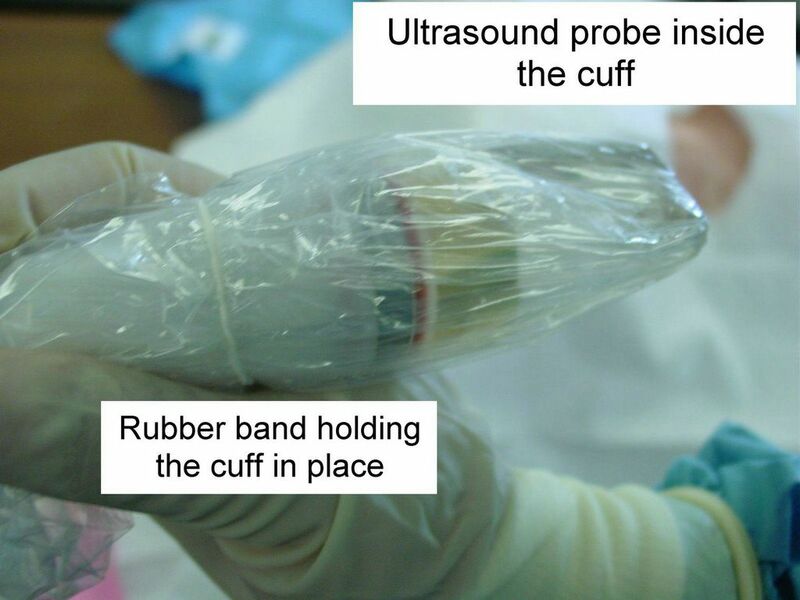 The evidence base of the procedure is discussed in the patient safety report of the Agency for Healthcare Research and Quality (AHRQ). 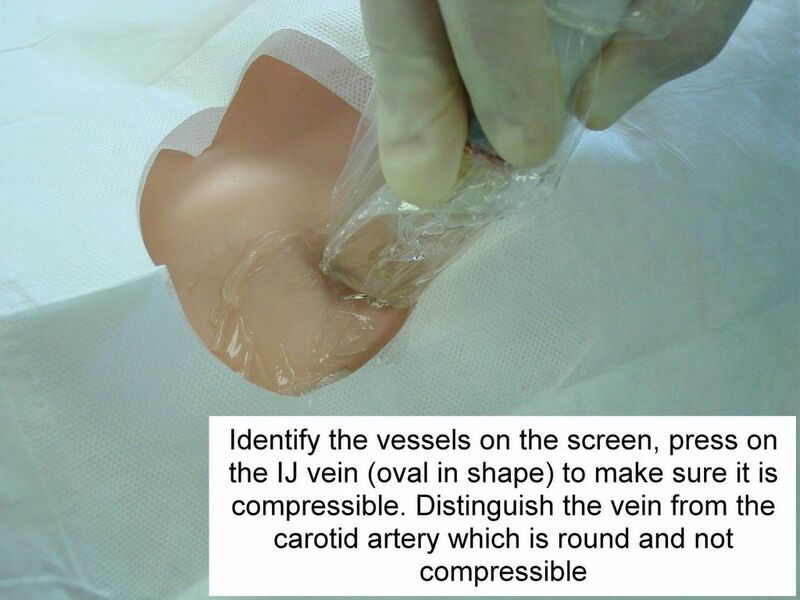 Central Venous Catheterization: Concise Definitive Review. 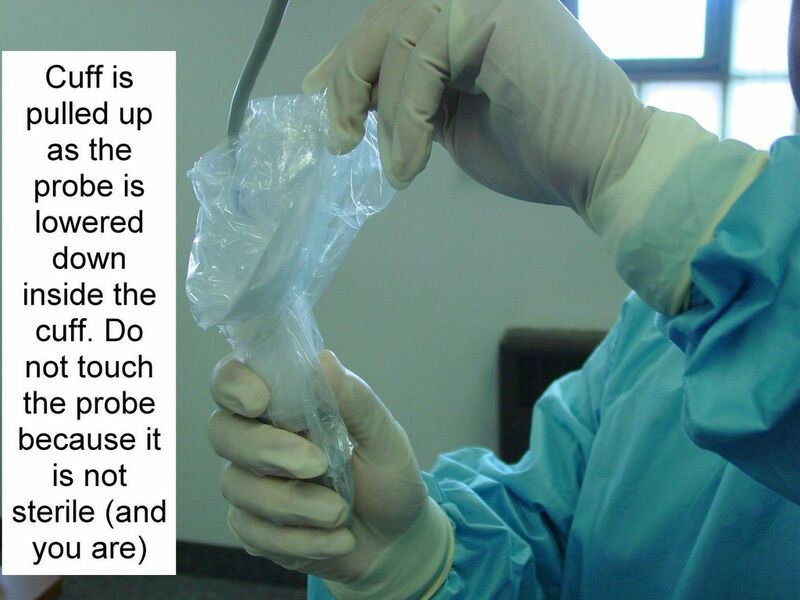 Medscape, Critical Care Medicine, 05/16/2007 (free registration required).